Hi guys! I wanted to give you a chance to win a copy of Dreams of Gods and Monsters or any one book from the trilogy. This is just a random giveaway because I’m that excited about this book. I hope we all love it. This giveaway is International. 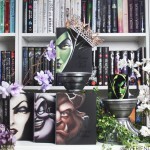 The winner can choose any one book of this series as their prize. Not responsible for lost packages and must be 13 to enter. Ah! Two copies. I have been so tempted to go out and buy a copy but I have resisted. Helps I have so many books I need to read and review this month. I’m so happy you loved it. Can not wait to read! Great timing! I ‘m so glad you’re enjoying the series! 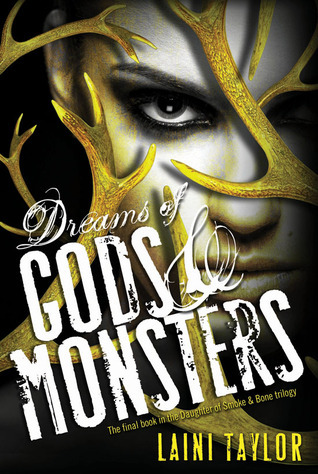 I can’t wait to read my copy (which hasn’t arrived yet) of Dreams of Gods & Monsters! It’s an excellent series. I love all of Taylor’s work. Have you read any of her books? Her world building is wonderful. I totally agree! I am really excited to see where Taylor writes next though. I really should reread the first books before diving into three. You are too sweet Kristen! Thanks for the giveaway! I’m so bummed that I missed this author signing in Austin Tx. Haven’t read the book but they look and sound amazing. I fell in love with those covers.